Adapted from General Paper GP tuition notes for website. Copyright Knowledge Skills LLP. One area of focus for General Paper is Globalisation. It can cover a huge breath of points and can take many GP tuition lessons to cover. Whenever possible, main ideas are covered during tuition and further examples or elaboration of less core points are given as notes. The tuition notes supplement the main ideas covered during tuition. One area for discussion can be the latest global developments and how students can attempt to link it back to larger GP content issues. The last article (General Paper notes: Foreign Intervention) discussed how the Russian take-over of Crimea can be used as a pertinent example for Politics or Global Issues. The strident allegiance by Crimeans to Russia or the recent spat between Singapore and Indonesia highlights how nationalism continues to thrive even as we like to think the world is becoming increasing border-less and more ‘globalised’. Many students like to start the essay with “In today’s globalised world…” (please refrain from doing so).With the huge amounts of cross-border flow of ideas, culture, people and goods, state boundaries are blurring. The European Union is an example of this very free movement of goods and people. Cons of Nationalism point 1. Since globalisation is a ‘fact of life’, as stated by former UN Chief Kofi Annan, the constant focus on national boundaries and national sentiments might seem rather insular. After all, such nationalistic sentiments might be an obstacle to global cooperation and threaten the stability of an international political framework. 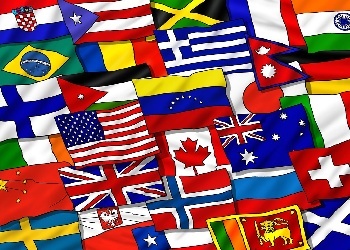 Ideally, the success of organisations such as the United Nations, the European Union and the World Trade Organisations is reliant on the willingness of their member nations to put aside any differences and vested interests to work towards a common ‘good’ in an array of issues such as international aid, debt relief and environmental concerns or the sharing of resources. With the opening of world markets and rapid trade liberalisation, the idea of relying solely on domestic markets and using protectionist measures for ‘national pride’ seems antiquated. Protectionist measures such as trade barriers and high tariffs arguably stifle the economy. The necessary examples and how to substantiate to avoid being penalised for sweeping statements’ is filed under GP tuition notes. The recent National Conversations exercise was focused on examining the ‘Singapore Identity’. There was much soul-searching on what it means to be a Singaporean and how to best nurture, develop it. Why is national identity so important even as we encourage our students and citizens to be global citizens? (the points for this can be used for a variety of General Paper questions and AQ responses). Politically, nationalism is still advocated especially with regards to its impact on patriotism and identity. . . .